Identity theft and fraud is a serious felony offense that affects millions of people all over the country. It’s one of the most widespread crimes, creating a new victim every two seconds. The chances are high that you’ve been a victim of identity theft yourself at one point but never imagined that you would ever become the suspect in a federal identity theft investigation. If you are recently discovering that you are being investigated for identity theft and fraud, you need to acquire legal representation right away. In the late nineties, the Identity Theft & Assumption Deterrence Act amended Title 18 of the U.S. Code to make identity theft a federal crime. Today, the act of knowingly transferring or using, without lawful authority, a person’s identification “with the intent to commit or to aid or abet any unlawful activity that constitutes a violation of federal law or a felony under state law” is a federal offense for which you could face significant penalties. Thieves can use this information to commit a variety of fraudulent schemes. Some may use a social security number to apply for credit under the victim’s name, and others may commit medical identity theft by assuming the identity of a person with health insurance. The unintended effects of these cases can be severely damaging to victims, which is why the penalties can be severe. At this time, you may understandably be befuddled by the federal government assuming your involvement in a crime so significant it is considered a crime against the government itself. You may not be sure of what your immediate response to these allegations should be, and may be wondering how to best protect your reputation and freedom. Rest assured that the knowledgeable attorneys with Umansky Law Firm are well-equipped to provide the support you need to find light at the end of the tunnel. The federal government has copious amounts of resources dedicated to fighting identity theft and fraud. If you are a suspect in an identity theft case or are facing charges, it’s to your benefit to arm yourself with a solid defense strategy that holds up to the scrutiny of federal investigators. Our board-certified criminal trial lawyer, Brice Aikens, dedicates his practice to defending persons facing federal charges or who are under investigation by federal authorities. He can guide you through the entire process and ensure you are fully prepared for everything that comes your way. 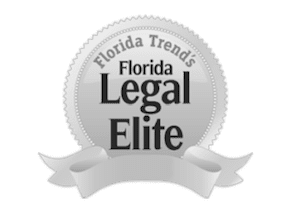 We strongly recommend consulting an experienced federal identity theft lawyer in Orlando the moment you discover you are being investigated for identity theft and fraud. The sooner you get an attorney on your side, the better the chances will be of obtaining the results you desire. Call (407) 228-3838 or contact us online for a free case review. You can also chat with us online at any time of day.